If you’ve been a reader of Live and Invest Overseas newsletters for any length of time, you’ve probably heard us say (at least a dozen times) that there is no perfect paradise. No single, one-size-fits-all retirement haven solution. We don’t mean to disappoint, of course. We call it like it is. And we make it our mission to present you with our careful selection of the world’s best offerings. Based on your own agenda, you choose the place that makes sense for you. But sometimes, there’s a place that comes close to perfection. Sometimes, there’s a place so full of charm, so heavy on attractions, so welcoming and accommodating of expats, that it pretty much ticks all the boxes you could possibly lay out for your dream retirement. Long-time magnet for British holiday-makers, as well as other mainland Europeans seeking less-crowded beaches than those on the Med, the rest of the world has been slowly catching on to the Algarve’s stunning beaches. In 2013, it was named Best European Beach Destination at the World Travel Awards (the travel industry’s version of the Oscars). In 2015, Portugal was named World’s Best Golf Destination. Not forgetting that the Algarve came out tops in our own 2015 Annual Retirement Index. Though on the Atlantic, the Algarve has a Mediterranean feel mixed with strong traces of its Moorish past. The beaches are powder white, sheltered by dramatic rock, and lapped by turquoise waves. Portugal also enjoys more sunshine hours than anywhere else in Europe. This is why visitors still come to the Algarve’s beaches and bask in the sun right up into the middle of October. There’s more to the Algarve than the beach. But do you really want to leave the beach? 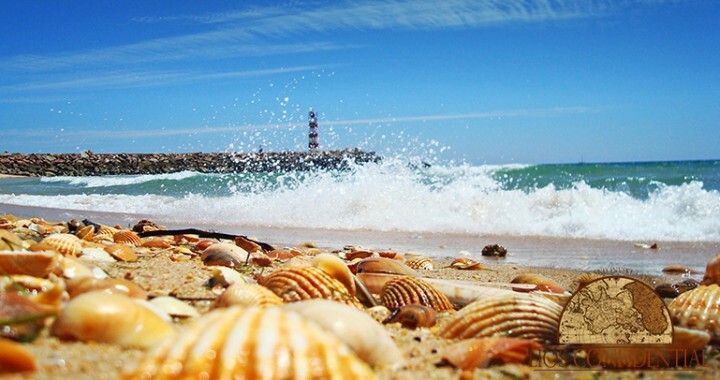 Photo caption: There’s more to the Algarve than the beach. But do you really want to leave the beach? And there’s more than just the beach. Old fishing villages with winding streets where potters and artists display work outside their studios… cobbled streets bordered by restaurants serving up hearty dishes of paella and local wine… world-class golf courses with commanding views… cycling and hiking trails (including the Portuguese version of the Camino)… and an established cultural and entertainment scene. Whenever you’re able to draw yourself away from the ocean views, there’s plenty to help you while away an evening. I sent you a note a few days ago with an early invitation to register. If you’re interested in joining us and just haven’t gotten around to reserving your place yet, I’d recommend you do so over the next 24 hours, before we extend the invitation to all readers. Getting in now, you’ll qualify for a VIP seat at no extra charge. Use code PORTCONFIDENTIAL to claim your LIOS Confidential reader discount on top of the Early Bird discount. Posted in Live And Invest Overseas Confidential and tagged European Beach Destination, Live And Invest Overseas In Portugal, Live in Algarve, Live In Portugal.